Behind redshirt junior Zoe Conley’s complete game shutout, Cal softball cruised past St. Mary’s to the tune of a 3-0 road victory Wednesday. The Bears added to their 11-0 unbeaten record, while the Gaels fell to 0-11. The final score was not indicative of how one-sided this midweek matchup was. The Gaels struggled to put runners on base all game, as Conley surrendered only three hits and one walk over seven innings to go along with seven strikeouts. The redshirt junior started the game hot, racking up four strikeouts in the first two innings for the Bears and setting the tone for the rest of the afternoon. Conley came into the game touting a 0.44 ERA over seven appearances and improved to 6-0 on the early season. Cal’s offense also performed well in the early innings. 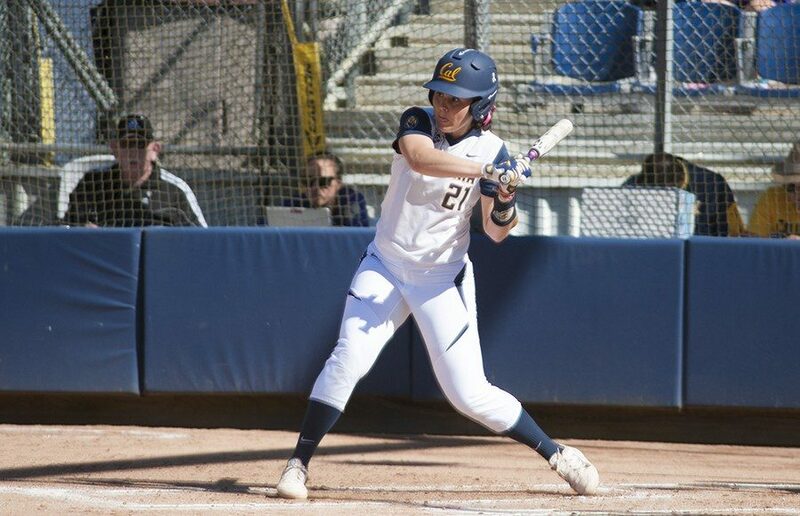 Against the Gaels’ pitcher Eryn McCoy, freshman Lauren Espalin put Cal on the board in the second inning, scoring fellow freshman Karlee Sparacino from second base. In the third, junior Lindsay Rood capitalized on a Jazmyn Jackson leadoff single with an RBI triple of her own. Freshman Mikayla Coelho followed that up by completing Rood’s trip around the bases with a single, extending the Bears’ lead to 3-0. Although Cal would not score for the rest of the game, this early lead was all Conley needed to secure another win. Despite solid performances on both sides of the ball, the Cal defense did commit three errors on the day, which they’ll need to clean up heading into a packed weekend. Wednesday’s game serves as a warm-up for the team’s five-game weekend at the Mary Nutter Collegiate Classic. On Friday, the Bears take on North Carolina and No. 6 Texas A&M in their most difficult doubleheader so far this season. Saturday features CSU Northridge and CSU Fullerton before Cal concludes the weekend with Long Beach State on Sunday. Aside from the matchup with Texas A&M, the Bears are favored in all games this weekend. The 9-0 Aggies have beaten several teams soundly this season, but they have also stayed in close games with unranked opponents. 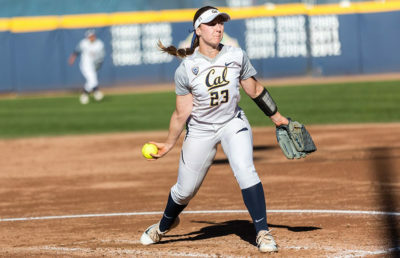 Cal pitchers Conley and junior transfer Kamalani Dung have posted stellar numbers in all 11 games this season and will have to continue their dominance this weekend. Pairing with Conley’s dominance, Dung also holds an impressive 0.89 ERA, a team-best .149 opponent batting average and wins in all five of her appearances. 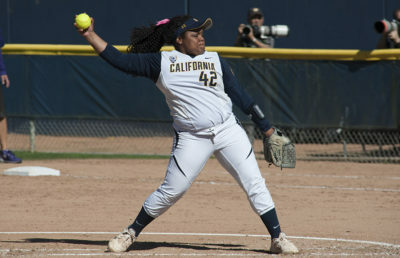 But Wednesday’s game showed that despite the dominance of Cal’s starting pitching, this team’s strength is its balance. Clicking both in the field and at the plate has been the Bears’ forte all season long, and there’s no signs of that slowing down any time soon. 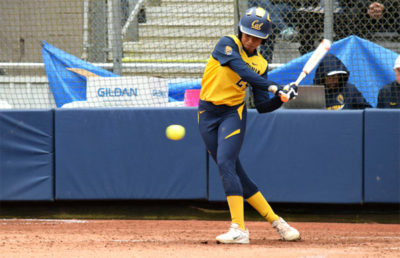 If Cal continues to play the balanced softball that has fueled its hot start, it has a chance to emerge with another five-win weekend, even with one of the nation’s best teams waiting in the wings.